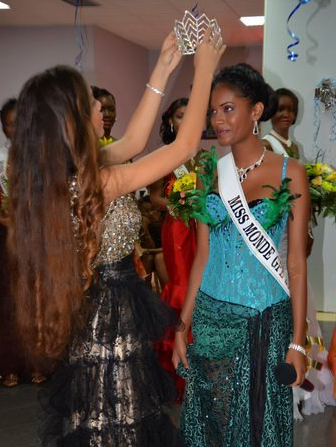 19 year old Brigitte Ramassamy Golabkan was crowned Miss Monde Guadeloupe 2012 during the grand pageant of Miss Internacionale Guadeloupe which was held at the Karibea Beach Resort Gosier in Le Gosier. Standing 1.72m tall, Brigitte is from Moule City. She will represent Guadeloupe in Miss World 2012 to be held in Ordos Mongolia on August 18.